On Saturday, I had the pleasure of being seated at writer Betty Fussell's table at the Steak and Eggs brunch at Blue Hill at Stone Barns. Betty has been a hero of mine and in person she was just as charming as I imagined she might be. In between Bloody Marys, we talked food all right, and I mentioned my chronic difficulty with pie crusts. Betty seemed confused, as in, what's so difficult? 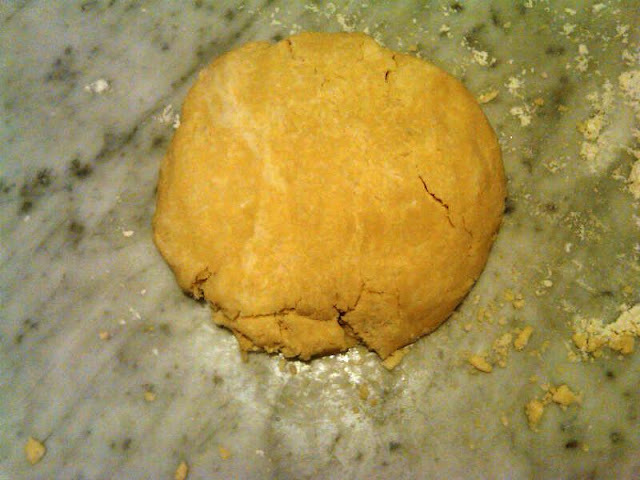 When I said that the dough is either too wet or too dry, she simply said add flour or water to make it right. She made it seem like child's play, really. So on Sunday night, after watching Kate Winslet as Mildred Pierce make pie crusts that were so brilliant, so malleable and so well-behaved, I decided to try my more modern hand at it. 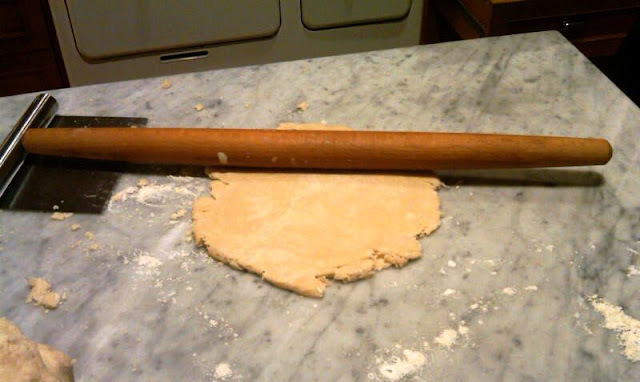 And so inspired, I decided that I would be the boss of my pie crust (and not the other way around, the way it usually is). You know how a dog can sense when a person is fearful of it? 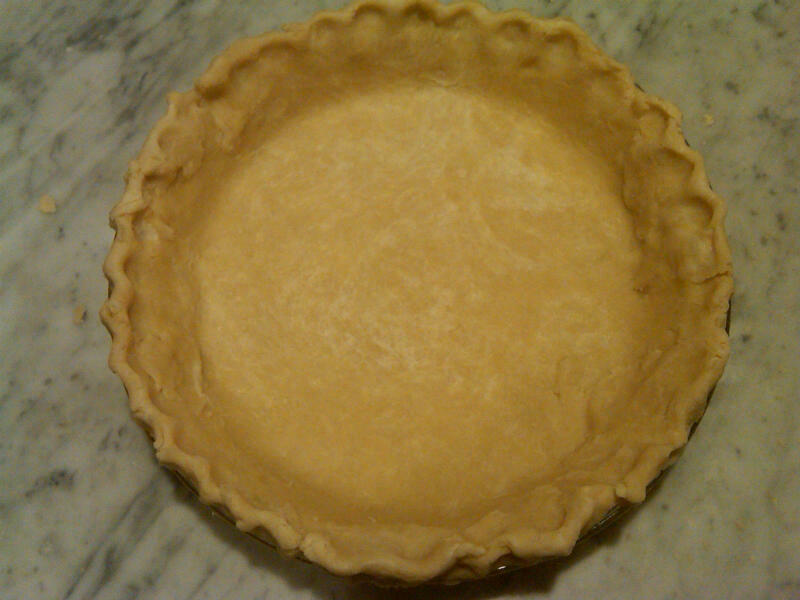 I think that my pie crusts sensed the same hesitancy and took advantage. But no more. I needed a few patches, but far fewer than normal. So with flour, butter, leaf lard and salt (and my food processor) at the ready, I sought to master the pie crust. Did I finally learn to psych out the crust? Not entirely, but overall, it was more compliant and the result was much better. but since they started making it with no transfats, it's properties are not as good. 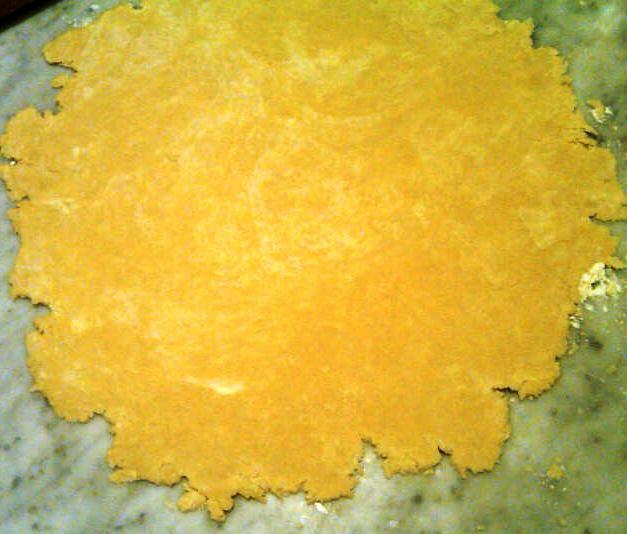 The flour mixture after the fat is cut in. Form it into a ball, after the ice water is added. Rolling it out is the hard part (at least for me). 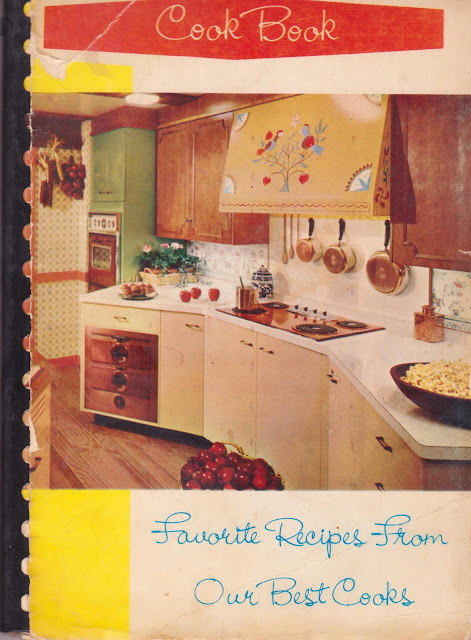 The recipe I used is from the c. 1961 Elk Garden Woman's Society of the Christian Service of Elk Garden Methodist Church in Rosedale, Virginia. Isn't the cover gorgeous? I chose the recipe because of its generous ratio of fat to flour. And I'd make it again. With confidence. DH took this artful picture of the Bloody and Beety Marys at the brunch. 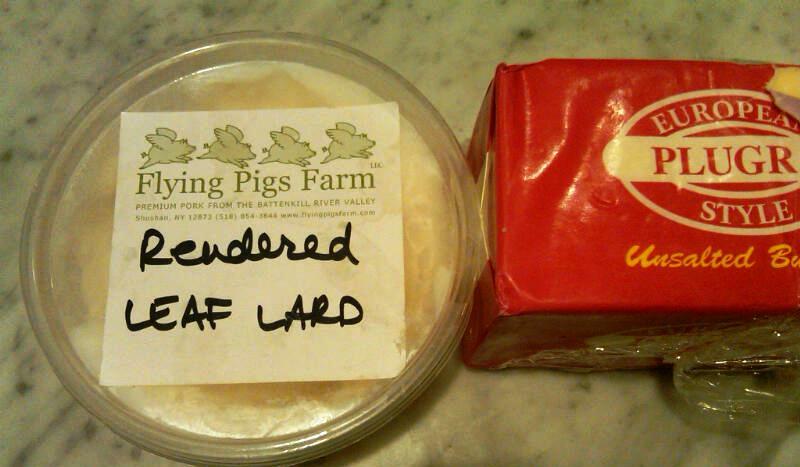 Susan, what exactly is leaf lard? I've not heard of it. 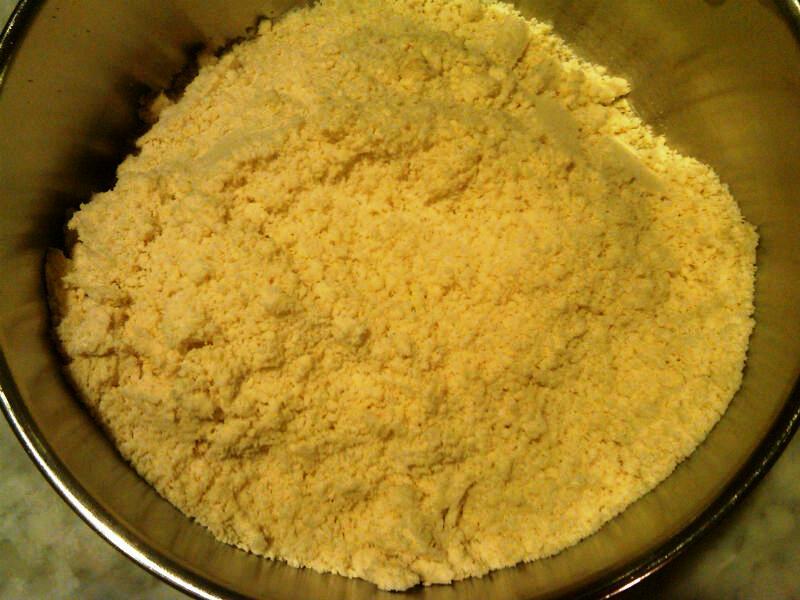 Is it different that the regular blocks or pails of lard? I'm quite intrigued! The recipe reads 1 c. shortening. Did you use equivalent amounts lard and butter to equal one cup, or did you use more of one than the other? Just discovered your blog today (thanks to Betty Fussell), and it is my new favorite blog. Great photos and a wonderful concept! @Tugs Girl: Leaf lard is from the fat around the pig's kidney. Luckily, I can find it easily at Flying Pigs Farm at my local farmer's market. @taetopia: Thanks! Yes, I used equal parts of butter and lard, but truly don't think it matters all that much. @carolina: I suppose I should, but geez, that's a lot of work. Maybe not for pie crusts, but I can't imagine making meringue or whipped cream by hand. And Betty is the best!